A classic tale of mystery and high adventure in a Dorset smuggling village. Well that’s what it says on the back of the book and I wouldn’t argue with the description. I enjoyed this book, but I must admit that I’m drawn to smuggling tales anyway. Probably because I like the thought of the poor down-trodden souls getting one over the tax-man at a time when they were being taxed even more than we are now. 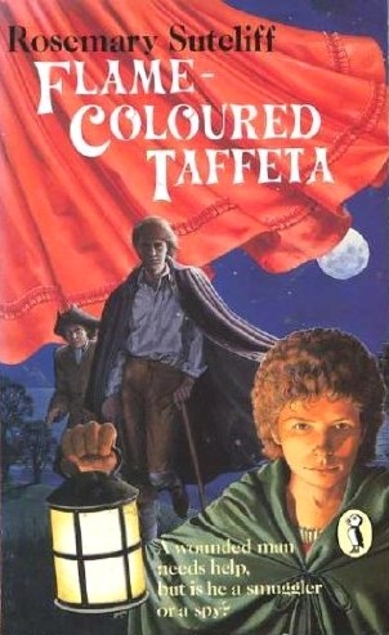 John Trenchard is 15 years old at the beginning of the book and he is living with his aunt in the village of Moonfleet, which is just half-a -mile from the sea. Both his parents are dead and his aunt has obviously taken him in as an obligation which she would rather not have. The village has always been full of spooky tales of the ghost of Blackbeard, who haunts the churchyard looking for his treasure – a huge and perfect flawless diamond, which of course is said to be cursed. When John discovers a secret passageway leading under the church he thinks he will find the diamond there but ends up being embroiled with a smuggling gang. 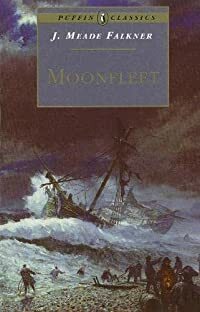 First published in 1898, Moonfleet is a classic adventure tale, suitable for young and old. Moonfleet was made into a film in 1955, starring Stewart Granger and that lovely wee Scottish child actor John Whitely.